Shellfish commissioners shared their main events and challenges of the past year. In the center at the back of the table is Clinton Shellfish Commission Chairman Wayne Church, who announced that his town will be reopening its recreational shellfish beds for the first time in 40 years. Emily Van Gulick, fish biologist at the state Bureau of Aquaculture, demonstrates proper water sampling techniques to the commissioners. Clams and oysters might seem like simple creatures, not bothered with cell phones, income taxes or the meaning of life. But for the humans overseeing how these animals are harvested, the condition of the waters where they live and their opportunities for growth in Long Island Sound, the lives of these bivalves are a complicated affair. 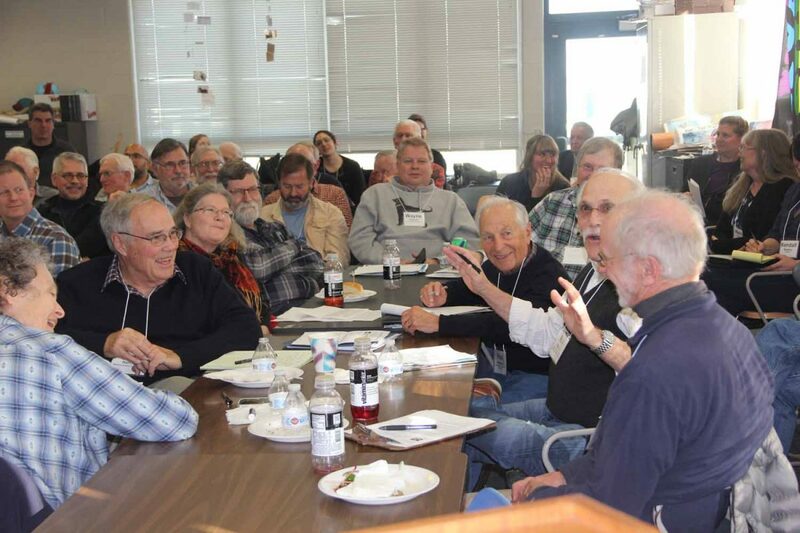 That was evident Jan. 26 at the annual meeting of the state’s 18 shellfish commissions at The Sound School in New Haven. These are the volunteer town panels that work with state and federal regulators to govern permitting, monitoring and restoring clam and oyster beds for both recreational and commercial shellfishermen. 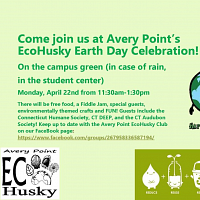 “Harmful algal blooms happen when microsporic organisms produce toxins. Since shellfish are filter feeders, they can accumulate toxins,” said Emily Van Gulick, fish biologist at the state Bureau of Aquaculture, a division of the state Department of Agriculture that tests water from shellfish growing areas as well as meat samples for pathogens that can cause illnesses. “There are over 60 traditional and emerging harmful algal blooms, but four types that are most important for us.” Two of those types cause illnesses that can be fatal. 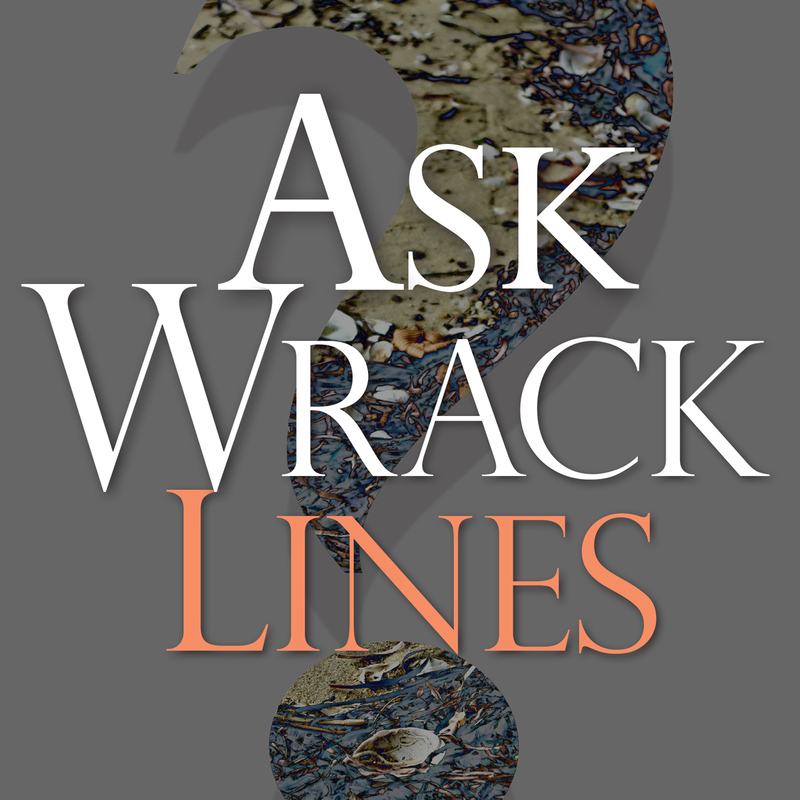 Van Gulick then offered the multisyllabic Latinate names for the four types, one of several reminders throughout the meeting that the job of a shellfish commissioner requires understanding some science, as well as public policy and human nature. Van Gulick’s lesson covered how the labs at the aquaculture bureau work to detect this threat, along with the threats posed by certain bacteria and viruses that can sicken humans who eat clams and oysters from affected areas. Since the 1980s, she explained, three toxic algal blooms have resulted in the closure of shellfish beds in Connecticut. More recently, it has happened four times in Long Island and twice in Rhode Island – most times without warning. “We don’t know it’s there until we look under a microscope,” she said. 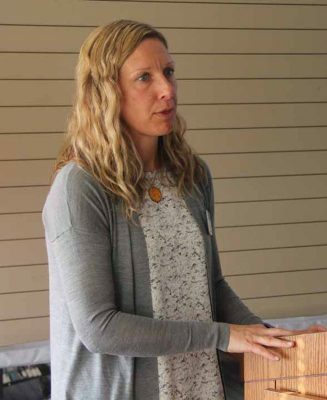 Tessa Getchis, aquaculture extension specialist for Sea Grant, tells commissioners about the Connecticut Shellfish Restoration Planning Project. She joined Bureau of Aquaculture colleagues Alissa Dragan and Krisin DeRosia-Banick in asking the commissioners to join a new effort to proactively monitor shellfish beds to learn whether the array of microscopic aquatic plants called phytoplankton includes any toxic algae. This would be in addition to the water and meat sample collection commission members are already responsible for. Results of those tests determine whether shellfish beds are open or closed. The algal bloom monitoring wasn’t the only new project introduced to the commissioners. 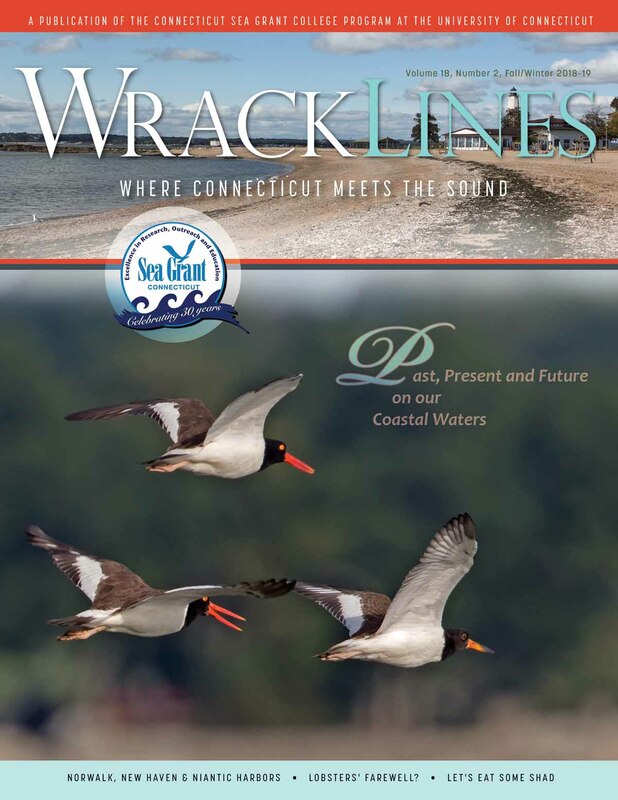 Tessa Getchis, aquaculture extension specialist at Connecticut Sea Grant, described an initiative underway to develop a plan for restoring shellfish beds statewide that will also benefit from input by the commissioners. The shellfish restoration work would protect existing beds, rehabilitate historic beds both for recreational and commercial harvest, and create or enhance existing natural beds that would not be harvested, she explained. Instead, these beds would be established to improve the marine habitat, filter pollutants and stabilize shorelines against erosion. 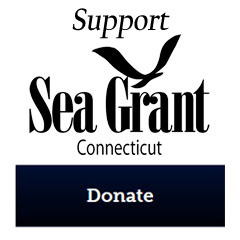 Connecticut Sea Grant, she said, is also working with the state Department of Energy and Environmental Protection, the Bureau of Aquaculture, commercial shellfishermen, harbor management commissions, federal regulators, environmental groups, coastal engineers and others on the project. Once potential restoration areas are identified and mapped, municipalities, shellfish commissions and other restoration practitioners can seek federal funding to act on the recommendations. Turning to the public policy side of the commissions’ responsibilities, David Carey, director of the aquaculture bureau, gave an update on the creation of town shellfish management plans. Over the past two years, Getchis has been working with Carey’s office to create a template for commissions to follow in developing individual plans that define the processes used by the commission to grant permits, set fees and make other decisions. Use of the template is not mandatory, but is recommended to help the public understand and have confidence in the commissions, Getchis and Carey explained. 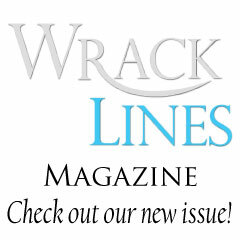 They have begun working with individual commissions on the plans. 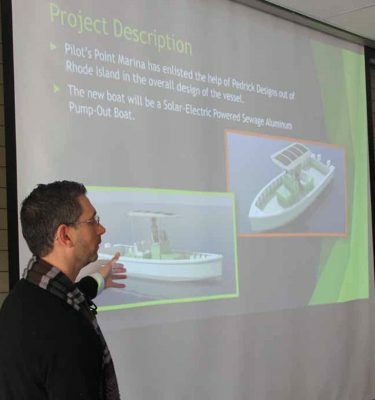 Michael Pascucilla, director of the East Shore District Department of Health, tells about the solar-powered electric pump out boat his agency uses. The meeting began with two presentations not specific to shellfish, but to the coastal environment where shellfish live. 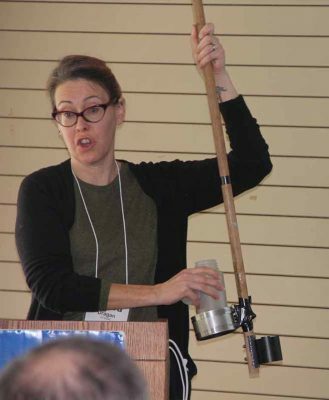 Juliana Barrett, coastal habitat specialist for Sea Grant, gave a lesson about climate change impacts along the Connecticut coast. Following that, Michael Pascucilla, director of health for the East Shore District Public Health Department, described the unique way his agency has reduced the carbon emissions contributing to climate change. Staff at the health district, which serves Branford, North Branford and East Haven, have been dealing directly with health impacts of climate change, he said, including more frequent flooding of septic systems and salt water intrusion into drinking water wells. Constructed by a Branford boat builder, the pump-out vessel is used to empty the holding tanks of boats so that raw sewage isn’t discharged into Long Island Sound. At the close of the meeting, representatives of each of the commissions gave recaps of the main events and challenges of the past year. For the three representing the Clinton Shellfish Commission, it was a chance for a very significant announcement. After working since 2006 to restore the town’s shellfish beds, the commission has achieved its goal. “We’re looking forward to the reopening of our recreational beds for the first time in 40 years,” said Wayne Church, chairman of the Clinton commission. 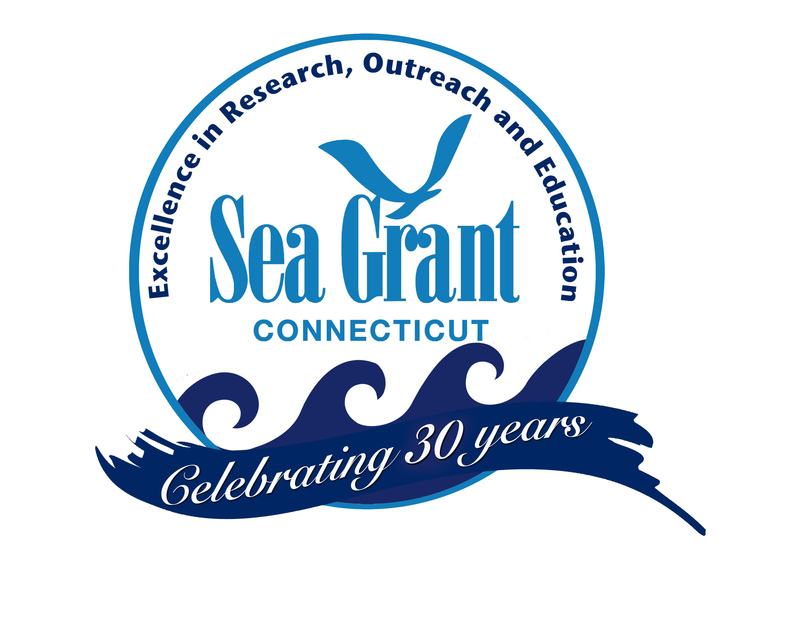 This entry was posted in News and tagged 2019, Aquaculture, Coastal Resources, Sea Grant, Shellfish.